Commercial kitchen hire company, Cooking Space, wishes they had gone solar sooner. 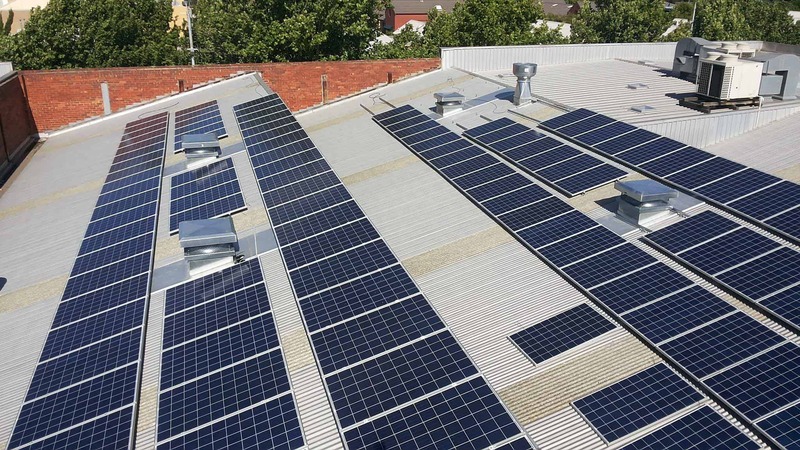 With the sun now powering this North Melbourne company, the business is more than $9,000 a year better off. “We had considered going solar before, but didn’t know where to start. The Sustainable Melbourne Fund’s Solar Finance made it easy,” said Cooking Space owner, Eric Lim. As a result, the business was able to install a huge 30kW solar system. That’s about 15 times larger than the average residential solar array. It was a win for the property owner too, with the solar investment boosting the capital value of the building. But the biggest benefits flow to Cooking Space, in the form of dollars saved. “The savings on our power bills cover the repayments, with no impact on our cash flow while, at the same time, doing our bit for the environment,” Eric said. Sustainable Melbourne Fund’s Solar Finance is designed so businesses considering solar can take the next step, overcoming cash flow concerns by providing 100% finance with flexible repayment options. Solar is becoming increasingly attractive to many businesses facing rising energy costs, with the price of solar plummeting by more than 70 per cent over recent years. As a result, for many, going solar now pays for itself in seven years or less. It’s a competitive advantage that many businesses are jumping on. “Once you consider all the benefits, using the sun to power your business makes perfect sense,” Eric said. Cooking Space were keen to go solar. They approached an installer who pointed them to the SMF Solar Finance. SMF supported negotiations with the landlord enabling Cooking Space to purchase solar with 100% finance through the fund.